Home ice is usually important in every playoff series, but in the first-round matchup between the Philadelphia Flyers and New York Rangers, it could be the difference maker. In four regular-season games this season between the two coveted rivals, the home team has won each time. The Rangers have dominated the Flyers on home ice, winning eight straight games against Philly at Madison Square Garden. In the two losses at MSG this season, the Flyers only managed to score two goals. The Flyers have had their way with the Rangers at the Wells Fargo Center, winning three in a row against New York on home ice. In the Flyers’ two wins against the Ranger this season at the Wells Fargo Center, they scored six goals, while limiting New York to only four goals. The Flyers took down the Rangers 2-1 at the Wells Fargo Center on October.24, 23, before beating them once again on home ice by a score of 4-2 on Mar.1, 2014. The Flyers have won the previous three times they’ve faced the Rangers in the playoffs, but if they want to win once again this year, the Flyers will need to win at least once in New York, something they haven’t done since Feb. 20, 2011.
of Ryan McDonough and Dan Girardi, the Rangers finished fourth in the NHL with 2.32 goals allowed per game. Henrik Lundqvist is a rock in goal and is the type of goalie that can win his team the series. New York is very good at 5 on 5 play, sitting 10th overall in the NHL with a 1.07 5 on 5 goals for/against ratio. The Rangers also have the third best penalty kill in the entire NHL. They are very good at blocking shots and force a lot of turnovers through aggressive penalty killing. Their penalty kill is at a whopping 85.3%. The Rangers are also very good at protecting leads. When they lead after two periods of play, they have a .903 winning percentage, which is sixth overall in the NHL. Lundqvist bounced back from a tough opening month to finish strong, posting a .920 save percentage and five shutouts. Even though he also played for Team Sweden at the Olympics, Lundqvist only played 63 games for the Rangers this season, meaning he isn’t likely to be very tired. Henrik notched 33 wins this season and only lost 24 games. Lundqvist is 27-13-3 lifetime against the Flyers, with the Devils being the only team he has more wins against over his career. If the Rangers advance to the second round, expect Lundqvist to be the primary reason why. McDonagh, who has always been more known for his defensive play, broke through offensively this season to the tune of 14 goals and 43 points in 77 games. In one single season, he doubled his career high in goals, coming through clutch for New York. He netted four game-winning goals and led all NHL defenseman with three shorthanded goals. McDonagh was never a big part of the Rangers’ power play until now. He scored twice with the man advantage this season after coming into the year with not a single power-play goal credited to his name. He averages a whopping 24:49 of ice time per game (including 2:52 of pp time) and can completely shut down other teams’ top forwards. He blocks shots, creates offense, and stymies the others team’s top guns. He pretty much does it all and combined with partner Dan Girardi, the two makeup one of the strongest defensive pairings in the league. 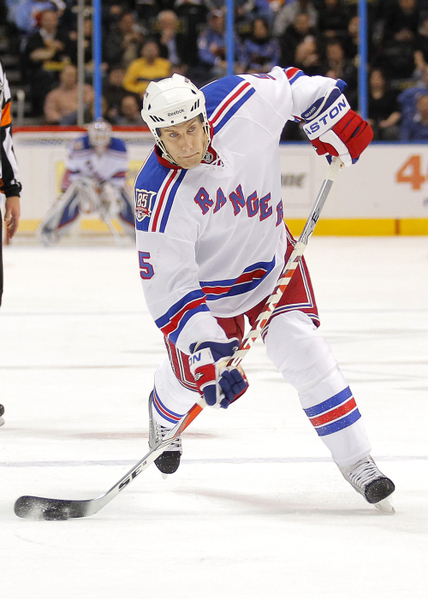 Richards played in all 82 games this season for the Rangers, tallying 20 goals and 51 points. He is a known playoff performer, notching 78 points in 93 career playoff games. He will likely be looking for some redemption after last season’s postseason, where he only tallied one point as the Rangers bowed out to the Boston Bruins in the second round. The reason Richards could be the difference is the fact he strives against the Flyers. He has put up 43 points in 45 career games vs. Philly, including two goals and an assist in the 2013-2014 regular season series. He is dynamite against the Flyers and with newcomer and known playoff performer Martin St. Louis on his line, there is a good chance these two could help carry the Rangers to victory. St. Louis finished the season strong with four points in his last two games and likely feels he still has something to prove with New York. difference maker, leading the team with 26 goals, while also finishing a plus-10. He is a clutch performer—his nine game-winning goals were third most in the NHL. He knows how to play in big time situations, but still has a lot to prove in terms of playoff hockey. He has only played in 16 career playoff games, and in that span, he only scored two goals and eight points. He will be more eager than ever to elevate his game and take it to the next level. There is no better team to it against than the Flyers. Nash has scored seven goals in 15 career games vs. the Flyers. That is almost one goal every two games against Philly. Yeah, he is one to keep an eye on. scorer Matt Read or two-way stud Sean Couturier can fine twine from the third unit. The team is simply loaded up front and boasts one of the best offenses in the entire playoffs. The Flyers score 2.84 goals per-game, which is eighth overall in the NHL. One of the main keys to their offensive success is their power play, which sits eighth in the NHL, operating at 19.7 %. The Flyers have great puck movement and forward Wayne Simmonds provides one of the best net front presences in the game. The Flyers are an aggressive team and they will win if they play physical, but disciplined hockey. They were the most penalized team in the NHL this season, but their superb penalty kill made up for the lack of discipline. They need to stay within their boundaries and not get too distracted from the real goal at hand. great deal of that this season. Whether it was scoring against the Blackhawks with seconds remaining in overtime, or completing a miraculous comeback against Columbus with a diving backhand goal, Giroux showed the hockey universe that he is one of the biggest clutch performers in the NHL. The last time the Flyers were in the postseason, Giroux basically single-handily propelled the Flyers to a first round victory over the Pittsburgh Penguins. He has 55 points in 50 career playoff games and was a key part of the team that went to the Stanley Cup Final in 2009-2010. Giroux also plays big against the Rangers, as exemplified by his 30 points in 32 regular-season games vs. them over his career. The Wayne train simply can’t be stopped. The heart and soul player in Philadelphia had his best season yet, setting career highs with 29 goals and 60 points in 82 games. He made his presence most felt on the power play, where he led the team with a whopping 15 power-play goals—which was third in the NHL. Simmonds has done quite well against the Rangers over his career, tallying seven goals and 12 points in 19 games against New York. Simmonds has played in 23 playoff games, but only 11 with the Flyers. In those 11 games during the 2011-2012 playoff run, Simmonds managed a goal and six assists in 11 games. He has come a long way since then and will be quite a handful for the New York Rangers in the postseason. After struggling to repeat the success of his rookie season over the past four years with the Columbus Blue Jackets, Mason has finally re-emerged as a top tier goalie with the Philadelphia Flyers. He has a .917 save percentage and 2.50 goals against average this season, to go with four shutouts. His career-high 33 wins were seventh in the NHL, putting him in the company of the elite. Is Steve Mason ready for the ultimate test? (Charles LeClaire-USA TODAY Sports)elite. Mason has only lost six road games all season, so with home ice being so important in this series, Mason will need to continue that success on the road into the postseason. He has fared quite well against the Rangers over his career, posting a 4-1-1 record vs. New York in seven career games. What’s more important is how he has done this season. Mason has beaten the Rangers twice this season and only lost to them once, posting a remarkable .937 save percentage in those four games. He has only played in four playoff games in his career and has never won a playoff game, making this battle against the Rangers his ultimate test. The one concern here is Mason’s health. Mason sustained an upper-body injury with 2:33 left in the second period Saturday against the Pittsburgh Penguins, and the Flyers are uncertain if he will be ready for the start of the postseason. The 36-year-old veteran blueliner has lived up to expectations in his first season as a Flyer. He finished the year with 10 goals and 44 points in 82 games, combined with a plus-3 rating. Why is he going to be a difference maker in this series? Right now, Streit is playing his best hockey of the season. He finished the season riding a six-game point streak (1 G, 9A) and recorded a plus-10 rating in that span. His booming shot is deadly and can strike fear in his opponents. Streit excelled in his last playoff appearance, netting two goals and three assists in six games as the Islanders came close to upsetting the Penguins in the first round of the 2013 Stanley Cup Playoffs. Streit played a big role in the regular-season series this season vs. the Rangers, netting a goal and two assists in the four games. Over his career, Streit has recorded 20 points in 34 games vs. New York. He knows how to produce against Broadway, and with the way he is playing right now, he is the top offensive threat on the Flyers’ blueline. 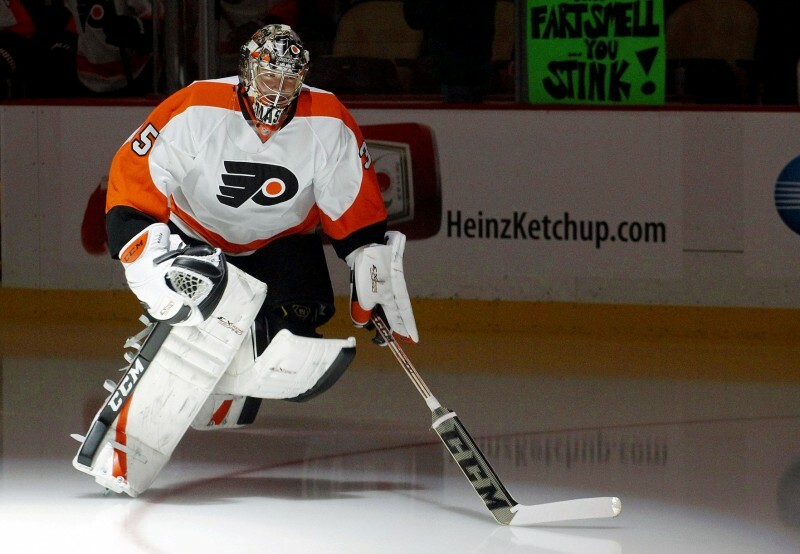 April 17: Philadelphia Flyers at New York Rangers, 7 p.m. ET. April 20: Philadelphia Flyers at New York Rangers, 12 p.m. ET. 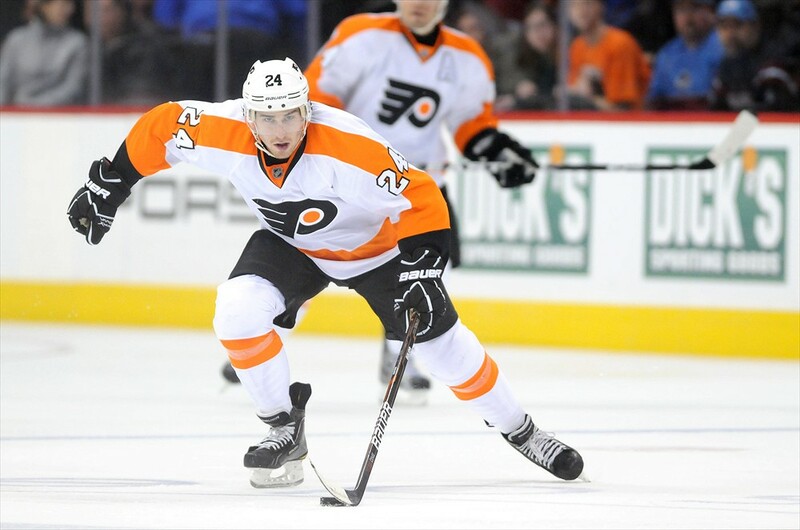 April 22: New York Rangers at Philadelphia Flyers, 8 p.m. ET. 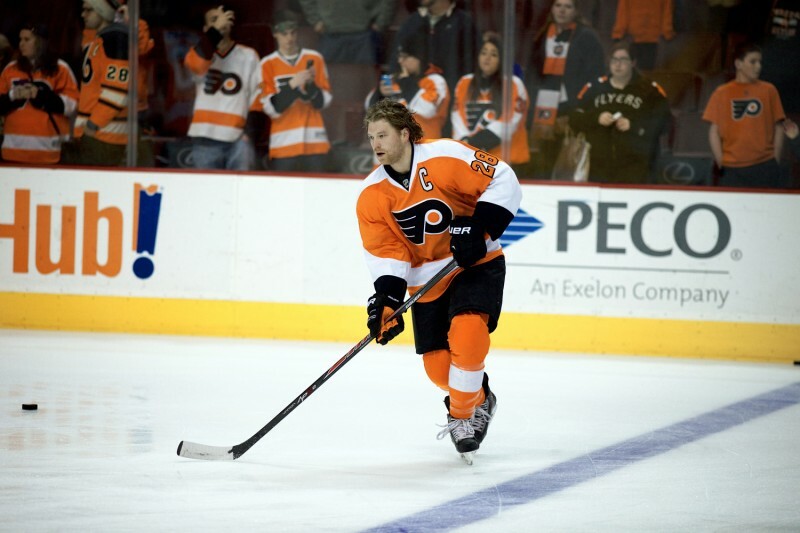 April 25: New York Rangers at Philadelphia Flyers, 7 p.m. ET.